We're building a Directory of locally owned businesses other websites in Elk Grove. Elk Grove is a city in Sacramento County, California, located just south of Sacramento. It is part of the Sacramento Arden Arcade Roseville Metropolitan Statistical Area. It is the second-largest city in Sacramento County. 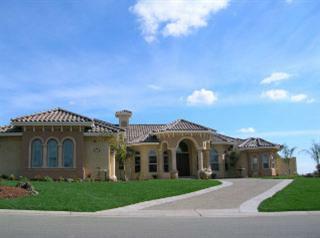 Real Estate broker with free home search, mortage information and estimated home valuations. Sacramento real estate clearance sale. The Elk Grove Unified School District is one of the fastest growing school districts in the nation. The district covers 320 square miles, almost one-third of Sacramento county. The district expects to reach 73,000 students by 2010. The students attend 38 elementary schools, 8 middle schools, 8 high schools and 4 alternative high schools. There are several private schools in Elk Grove, such as Montessori Country Academy and several locations of Merryhill Schools. Cosumnes River College offers both vocational training and a transfer program to four-year universities. Located nearby are California State University, Sacramento and the University of California, Davis, as well as branches of Golden Gate University and St. Mary's College. The City of Elk Grove incorporated on July 1, 2000. It is a general law city and operates on the Manager-City Council type of governance. The Mayor of Elk Grove for 2008 is Gary Davis who represents District 4. The remaining councilpersons are Patrick Hume (District 2) also serving as Vice-Mayor, James Cooper (District 1), Michael Leary (District 3) and Sophia Scherman (District 5). Elk Grove Top 10 is locally owned and edited. Elk Grove 's best internet directory . ©2008 Elk Grove Top 10. All rights reserved.